Escape to the country on this beautiful 11 acre parcel! 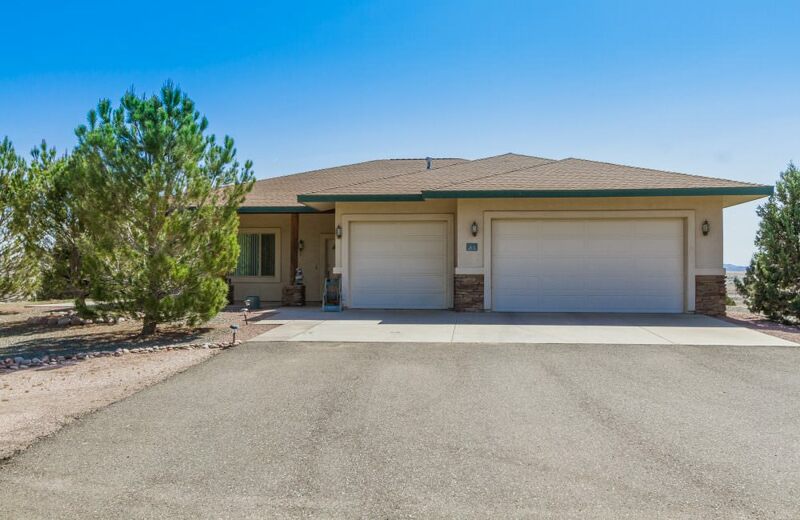 Amazing views on Granite Mountain, San Francisco Peaks, and surrounding country side! Well designed spacious, bright floor plan with 10 ceilings for an open feel! Large kitchen with solid surface counters. Recirculating hot water heater, whole house fan, and dual zone A/C and heat. Expansive views of rolling hills and juniper trees from the large back cover porch and patio. The huge 4 car workshop or garage is prefect for all the toys. This is must see before it’s gone!